I was getting ready for the office - just applying a little L’Oreal Infallible 24-hour foundation - when I caught a story on The Today Show. The show hosts were talking about CVS Pharmacy’s new definition of beauty and the store plans to no longer digitally images featured in its beauty ads: no more airbrushing to perfection, changing or enhancing a person’s shape, size, proportion, skin or eye color, wrinkles or any other characteristics. What you see is what you get – without unachievable expectations. 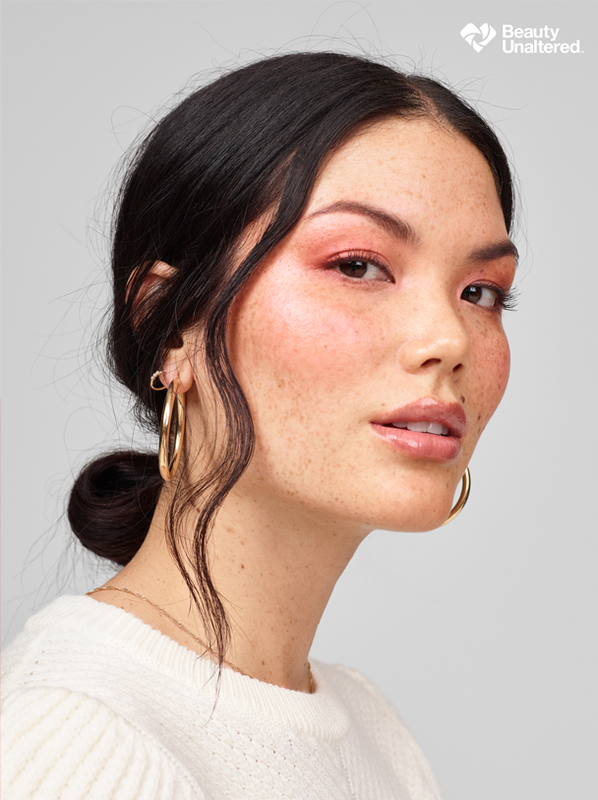 CVS execs announced the “Beauty Mark Initiative” about a year ago and this week shared they are making significant progress toward their goal of full transparency for beauty imagery by the end of 2020. Brand partners on board to date are Neutrogena, COVERGIRL, Revlon, Olay, Almay, Aveeno, Rimmel, JOAH, L'Oreal, Maybelline, Unilever, Burt's Bees and Physician's Formula. An event was held at Times Square Thursday as the new authentic look was revealed. Among those making appearances was Neutrogena brand ambassador, Kerry Washington, who shared that she was in 100 percent agreement with the new campaign. It’s even disheartening to Washington and other models when they flip a magazine to ad in which they are featured to realize their image – including the shape of their faces – wasn’t good enough and was digitally altered. Using Photoshopped images is not only dishonest marketing, but it’s just one more way to make girls and women feel they don’t measure up. There is enough pressure out there for young girls without promoting fake product results. I was intrigued, so I reached out to locals who have found themselves behind the cameras in the world of fashion/lifestyle. Bridgeport High School graduate Elleyse Gemondo is a fashion blogger and model with Patrick Talent Agency. She also works as a merchandise assistant for Gabe's. "I think CVS's plan is a great idea and that this should have been done a long time ago. People want to see natural beauty, not something that is not attainable for anyone, even the model in the photo who has been airbrushed and photoshopped," Gemondo said. "I think this plan will make women feel better about themselves and want ot buy more products. It will show that it's possible to get the exact look of the photo and in turn, increase sales greatly!" 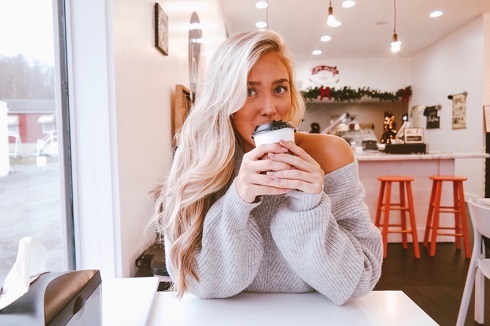 Fashion/lifestyle blogger and 2017 BHS alumna Gabriella Mazza said she, too, is in total agreement with the new promotion. “At the end of the day, none of us are perfect and we all want products and results that are real. We all want to see things that are actually relatable,” she said. “By showcasing products in this way, it will be great for people to feel like they aren’t alone. No one has perfect skin or the perfect body or perfect hair, so ultimately it might cause people to stop being so hard on themselves and possibly find products that truly work for them and their skin or body type. BHS graduate Gia Salentro, who has modeled for a variety of state and national publications, including Gladys Magazine (featured below) said true beauty should not be edited. Through product sales, CVS hopes to raise up to $300,000 for Girls, Inc. in its mission to help all girls become strong, smart and bold. Limited edition “Sans Retouching” T-shirts are also available for purchase with all proceeds benefiting Girls, Inc. Learn more details HERE. Consumers are invited to post an unfiltered/unaltered pictures of themselves on their social media channels with the hashtag #beautyunaltered. Link to Gemondo's blog at LIM College HERE. Read more about Mazza and find a link to her fashion blog HERE.